In the UK, good shoes split into two very clean categories: benchmade and bespoke. 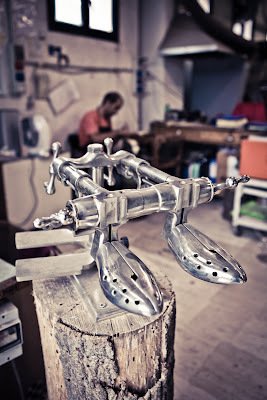 With the former, workers use a series of hulking Victorian machines to make the shoes. Each applies force in a different way, whether stretching the upper over the last or punching the thread through the welt. 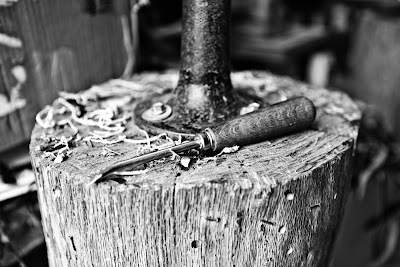 They are quicker and require less human strength, so more can be made in the same period, but still require careful manipulation of the shoe by hand. Better benchmade shoes use more machines (such as a bedlaster for the toe), hand clicking of the leather or simply better materials. With bespoke shoes, all this is done by hand. From the sculpture required for last-making to the hand sewing of both welt to shoe and sole to welt. No iron-and-grease monsters are required. Most manufacturing in Italy, France and the US is similar. But while at Kiton in Naples recently, I found that they have an odd halfway house. Of course, they say that the shoes are 100% handmade. 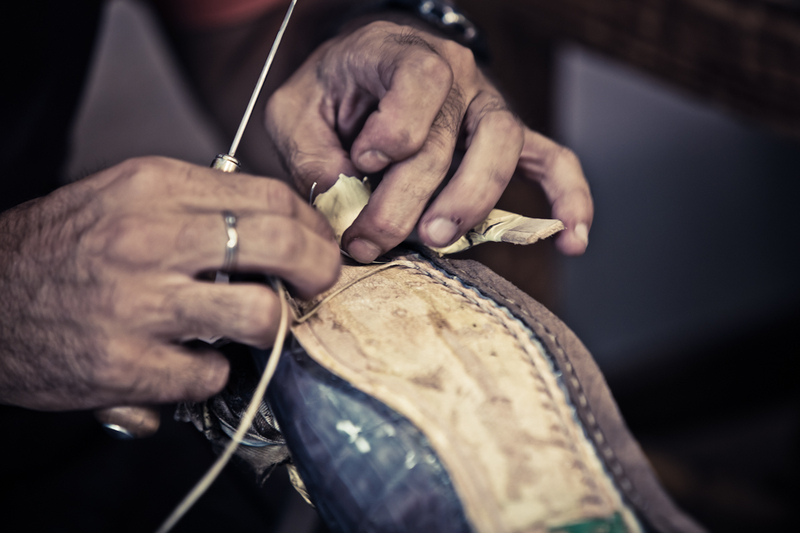 Obviously that depends what you mean by handmade – benchmade shoes are still handmade in a way (it’s like the difference between hand-sewing a shirt, hand-guiding a sewing machine and using an industrial manufacturing process). But the claim is not pure marketing either. All the leather is cut by hand, at a single small table surrounded by multi-coloured skins. The parts are then closed (stitched together) by an iron machine very similar to those in Northampton. Plastic lasts are used, but the stretching of the upper over them is done by hand (on most lines – some of the younger lines like Sartorio or Cipa are not). The welt is then sewn on by hand, but the welt is sewn to the sole by machine. Kiton trainers are stitched by the same machine, where most luxury-label sneakers are just glued. Finally, the shoe is painted by hand. Many Italian manufacturers do this, and sometimes the results aren’t to English tastes, but the work involved is impressively time-consuming and painterly. Some of the new trainers are also painted by hand. 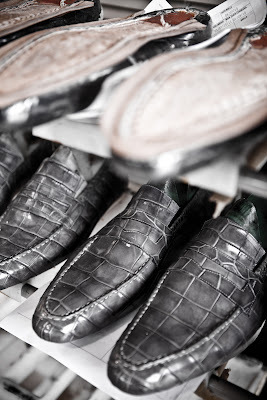 A good portion of the work done is bespoke, and several shoeboxes of lasts sit outside the shoe-making part of the factory bearing the names of politicians, sportsmen and opera stars. 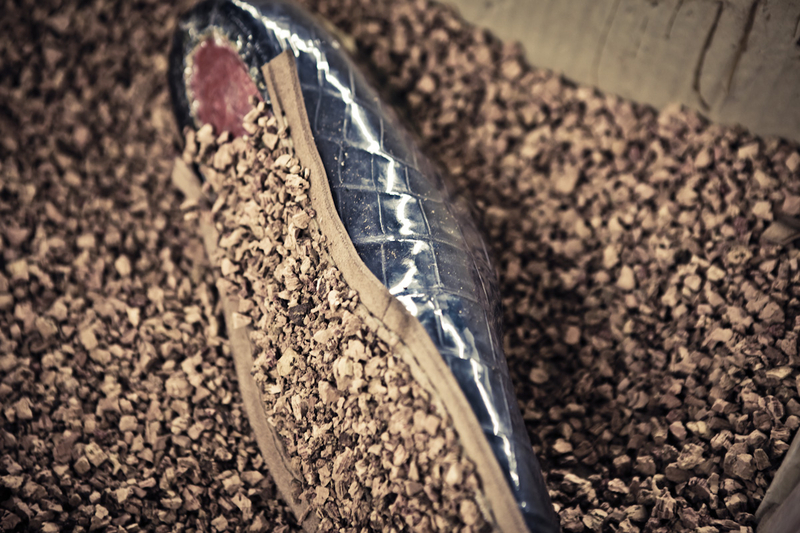 They cut down standard plastic lasts and add leather to them in a similar way to an English bespoke shoemaker does with wood. It’s an interesting compromise. Being Kiton, the shoes are of course expensive, but they deserve comparison with the new top lines like Gaziano & Girling’s Deco and Edward Green’s Top Drawer on the basis of construction, rather than the standard benchmade lines. If you want to look at the styles, Kiton Shoes also has an app where you can browse the models. If you have a smartphone you know how to search for it. 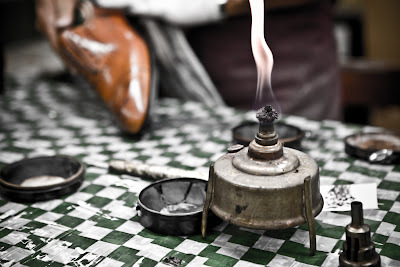 You can follow the discussion on Naples, Kiton: shoes by entering your email address in the box below. You will then receive an email every time a new comment is added. These will also contain a link to a page where you can stop the alerts, and remove all of your related data from the site. This is the second time I’ve read this post. I typically return multiple times to your writings, realizing I get more each time I read them. The detail and educational value is terrific. Thanks for writing!